Capital Construction builds healthy, environmentally responsible, custom homes in New York’s Capital District, Saratoga and Lake George region. This means the company builds one-of-a-kind, green homes designed for a specific client and for a particular location. Each home is properly oriented on its lot where care is taken to protect the natural surroundings. Energy conservation, green building concepts and indoor air quality are prime concerns throughout the design and product selection phases. Then Capital Construction’s team of talented, skilled craftsmen implements each unique plan to green building standards, with attention to fit and finish and on time and on budget. Capital Construction will build on a homebuyer’s land or on a lot in its award-winning Loudon Ridge development. 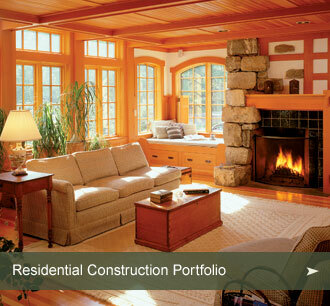 Capital Construction also welcomes inquiries from homeowners seeking additions or remodeling to their existing homes.